both now and to the day of eternity. Welcome to an adventure! When you put your trust in Jesus Christ, you began a journey of spiritual growth. In doing so, you are getting to know Jesus better, learning to trust Him more, and growing in your love for Him and His people. As with any journey, your growth in Christ will happen one step at a time. As you look at Stepping Stones, remember that you are not alone. You have many brothers and sisters in Christ who are taking the same steps, learning the same things, and growing in the same way - together we are becoming more like Jesus Christ every day. All of us would likely say that we want to grow and live the life God made us to live. But sometimes it's difficult to know if we're actually growing in all the ways God desires or whether we're growing at all. 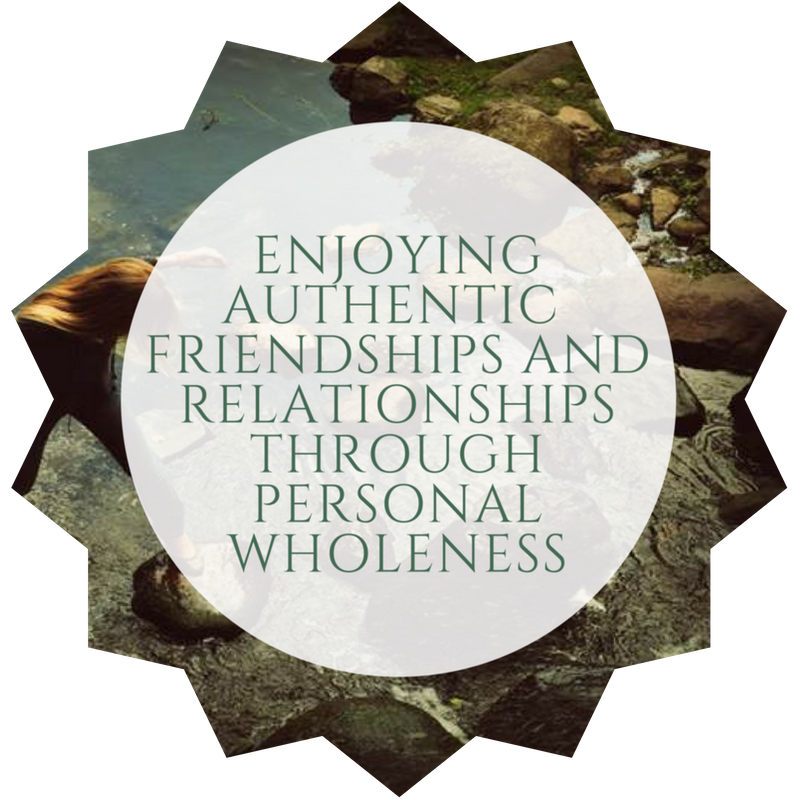 This resource is intended to help you determine potential areas of personal growth and then provide a pathway on which to walk - a collection of stepping stones - that will give you some direction and forward momentum. You may consider Stepping Stones your personal roadmap to spiritual maturity. Every human being is unique, has different challenges, learns differently, and is designed by God to reflect HIs glory and to be HIs presence to the world in a way like no other. Spiritual growth is not a "one size fits all" thing. God allows us to grow in a variety of ways - if we are regularly getting together with other believers, listening to teaching, praying, and reading the Bible, we are definitely going to be growing. Nonetheless, it is good to be intentional in our growth and take steps to grow in a comprehensive way. Stepping Stones can allow each of us to take steps in our spiritual growth that are unique to our lives. Stepping Stones is divided into ten areas of spiritual life, which are identified as ten markers of spiritual maturity. The ten areas are arranged into the four strategic components of Cornerstone Church: Belong, Grow, Serve, and Go. If everyone who is part of this church family is belonging in community, growing in Christ, serving God and others, and going with the message of Jesus, then we as a church will be able to accomplish the task God has given us of leading more and more people in to a growing relationship with Jesus Christ. The ten areas are in no order. If in looking over this resource you feel compelled to learn more about the Holy Spirit, for instance, then start there. It makes no difference where that area is in the sequence of this resource. The only exception might be the first one listed: Trusting Jesus for My Salvation. Without this, there is no relational foundation with God on which to build. Within each are you will find resources arranged into Step 1, Step 2, and Step 3. These steps refer to the depth and extent of the content similar to beginner, intermediate, and advanced. In general, the content in Step 1 will set you up for success with the content in Step 2. However, the resources in Step 2 don't specifically build on the resources in Step 1. So, feel free to start with any step in any section. Keep in mind, though, that it never hurts to review the fundamentals before going on to more advanced practice. Within each step, you will find four different avenues or forms of delivery: Book, Study/DVD, Media and Experience. Since we're all wired differently, various options are in place for you to pursue. Choose whichever one will work best for you or utilize them all. May God make Himself known to you as you walk with Him on this journey. It all starts with Jesus - knowing Him, trusting Him, loving Him. This is the key relationship that shapes my entire spiritual life. To know that I indeed have eternal life, that my sins are forgiven and that I am a new creation in Christ creates the foundation for all of my other experiences with God - both in this life, and for all of eternity! Media: "How Can I Know God?" Experience: Answering the two diagnostic questions: 1. Do you know for sure that you are going to be with God in Heaven? 2. If God were to ask you, “Why should I let you into My Heaven?” what would you say? When I truly worship God in spirit and in truth, I bring myself into the right relationship with God. I experience His Presence in new ways, I tap into His power, and I learn to know Him better and trust Him more. A vibrant and real worship life is part of having a growing relationship with Jesus Christ. A follower of Jesus does not live in a vacuum. They are part of a body of believers, experiencing Christ through their spiritual brothers and sisters. God desires for us to have real and lasting friendships that stand both the test of time and the inhumanity of the world we live in. So often, prayer becomes a religious performance and tradition rather than a living, breathing conversation with the Creator of the Universe who loves us more than life itself. God desires for us to both talk with Him and listen to Him . . . doing experiencing life with Him every day. Experience: Praying on your own or as a family. Use our "At the Table" family prayer resource designed for you to keep at the center of your family dinner table to guide your prayer before meals. God speaks to us in His Word – the Bible. Learning to read, understand, and apply the Bible to our daily lives is the single biggest key to living the abundant life that Jesus talks about. The Bible is the Word of God—it’s power and meaning is limitless. Welcome to a lifetime of learning about the mind of God through study of the Bible! God invented the family when he created woman and man. He has a plan for every family that involves truth, love, and service....a plan that reflects the heart of Christ for the home where all family members submit to each other out of a self-giving love. The best way that we can bless our children and, by definition, our world, is by following that plan, living out the character of God every day. Money, talents, abilities, possessions – all these are entrusted to us by God for the purpose of doing his work and bringing him glory. How do we move from thinking “What’s mine is mine” to “Not my will, but your will be done”? learning to truly use what God has entrusted to us for his purposes is the key to true wealth and blessing. We aren’t in this life alone. God has given us His Holy Spirit to guide us, teach us, and empower us. 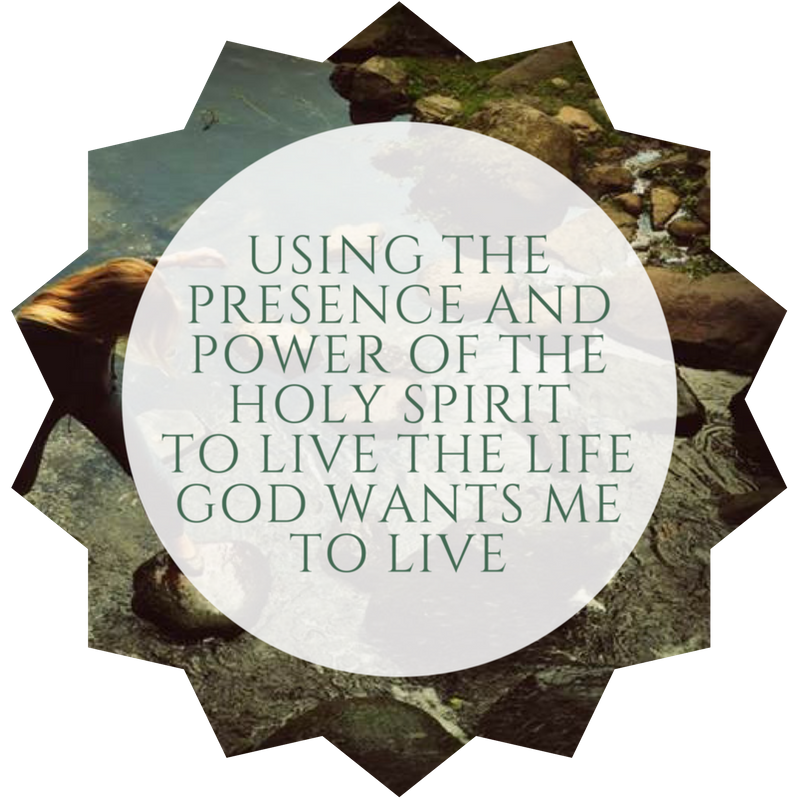 Getting to know Him, learning how He works in us, and living our lives with Christ through the power of the Spirit is crucial to becoming all that God has called us to be. The Kingdom of God is upside down. Jesus says that those who want to be great in God’s kingdom must be servants of all. Learning to serve others in the name of Jesus is really a call to spiritual greatness. Learning to serve with the abilities and interests that God has given us allows us to fulfill that unique mission which God has given each one of us. The most dangerous thing we can do with God is to play it safe. The Great Commission of Jesus tells us to go and make disciples. The Great Commandment of Jesus tells us to do it because we love God and others. The words that God loves to hear from each of his children are, "Here am I! Send me!"